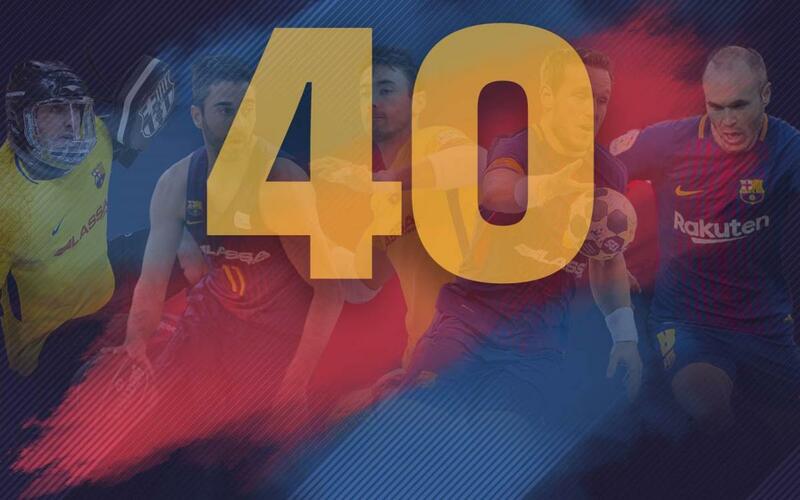 FC Barcelona reached a European milestone on Sunday, thanks to the Barça Lassa roller hockey team beating Porto to win their 22nd continental trophy. The triumph takes the club as a whole to 40 European honours. The roller hockey team have been the most successful Barça side in Europe to date, followed by the nine-time cup winning handball team. The football team are, of course, five-time European Cup/Champions League winners, and the basketball and futbol sala sides have two trophies apiece. Curiously, 23 of the 40 cup wins have come in the 21st Century. The roller hockey team were also the first to win a European trophy, doing so in 1972/73 with a victory against another Portuguese side: Benfica. The handball team followed this up with a cup in 1990/91, a year before FC Barcelona's first football European Cup, won by the legendary Dream Team at Wembley. Besides the 40 cup wins at senior level, there have also been 3 European Cups earned at youth level: The UEFA Youth League (2013/14 and 2017/18) and the Euroleague Basketball Next Generation Tournament (2015/16).